Join us for an Adult Bible Fellowship (ABF) class beginning Sunday, March 3 from 9:30-10:30 a.m. between our two worship services (unless otherwise noted). We encourage every adult to take part in the fellowship, encouragement, and teaching of one of our Adult Sunday School options. If you are new to GEFC, these classes are a great way to meet your new family here. If you’ve been around awhile, spread your wings and sit under the teaching of someone that you haven’t learned from before. You are sure to enjoy the biblical teaching and fellowship that each class offers. 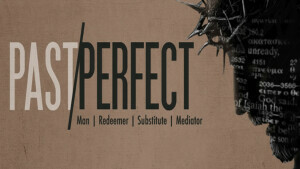 Info: This series is all about the God that we worship and His attributes. Info: These are letters that Paul wrote to pastors or leaders in the early church, but God has something important to say to every believer through these letters. Titus is about the unbreakable link between belief and behavior. 2nd Timothy is a call for perseverance in the gospel in spite of suffering and difficulty. As Paul approaches the end of his own life, he calls on his young friend and coworker to continue the fight of faith. We’ll be relying on God’s word to inform us and transform us. Info: We identify ourselves as Christians, claiming the name of the One we follow. But to follow Him we must know him and to obey His commands we need to understand them. We gather and study so that we might know the difference between he Jesus of the Bible and the neutered, safe, and misleading “Jesus” of our culture. Info: Is life change really possible? If we’re honest, most of us would answer, ‘No.’ That’s because most of us have tried numerous programs that promise changes, but in reality, deliver minimal results. We long for transformation but don’t know where to begin. In these approximately 20-minute video presentations, Chip will lead us through a study of Ephesians 4 to help us to identify barriers that have held us back from receiving God’s best, and then break out of the cycle of a destructive lifestyle and become the person that we’ve longed to be.